I've just discovered the secret to frizz and fuss free hair - and I'm here to shout it from the rooftops. I have unruly super-thick hair that’s also curly in that frizzy sort of way. I spent years straightening it – a feat that took three hours from start to finish – although that was way back when I didn’t have kids. Occasionally – when stars are correctly aligned, the humidity is suitable and I position my head at precisely the correct angle on my pillow – I’ll wake up with lovely curls. But for the most part for the past decade or so, it’s just been me and my frizz. So it’s a big ‘hello and how are you’ to the KeraStraight hair treatment. 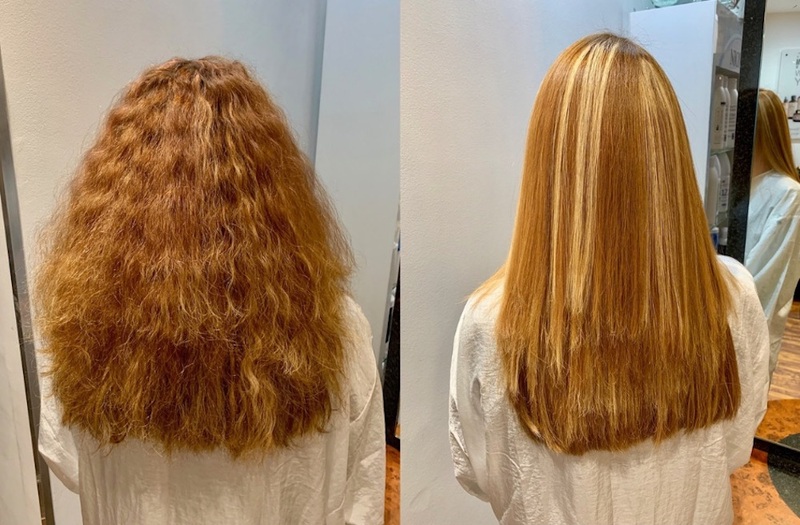 Yes, I know, it’s true that hair straightening treatments like the Brazilian Blow Dry have been around for several years. But it’s also true they’ve used damaging chemicals including formaldehyde. I’ve always been a bit skeptical about plonking chemicals onto my hair for fear I’ll create more of a mess, and after one fellow-frizzy friend had a bad experience with the Brazilian Blowdry I was even more reluctant to give it a go. But KeraStraight have just launched its newest treatment, a formaldehyde free combination of keratin proteins, amino acids and plant extracts that promises to rejuvenate hair and leave it smoother and easier to manage. Quicker than you can say lickety split-endz, I was booked in for my first ever KeraStraight treatment. I didn’t want to lose my curls all together, but was keen to de-frizz the bird’s nest and make styling more simple and less time consuming. 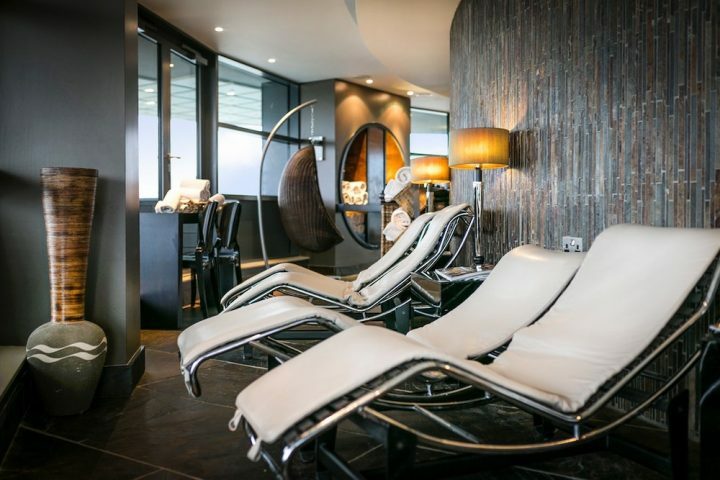 I chose Images Hair Design (IHD) in Woking for my treatment. 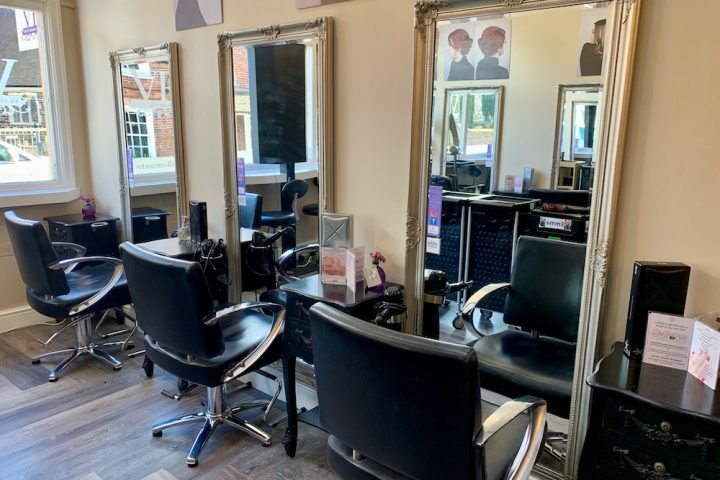 It’s a bright and airy salon on Church Street in the centre of Woking. The salon decor is mostly black and white, with column mirrors and big bucket style seats. Oversized urns and a feature wall with baroque wallpaper add a touch of glamour. 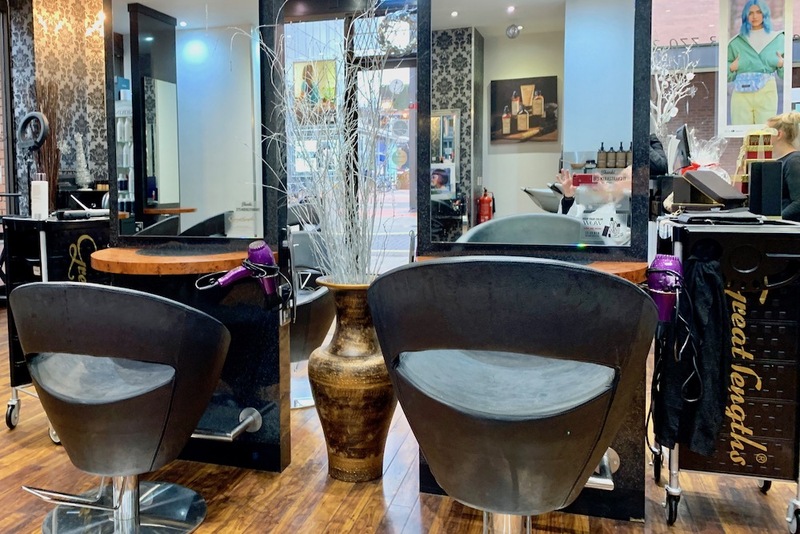 Owned by Helen Funnell, the salon has been around since 1985 – which says a lot really. With such longevity, you can be confident they’re doing something right, not least the expertise of their super friendly and warm staff. I was in the hands of Abbey Jarrold – a former Chelsea hair stylist and now creative director at IHD. Celebrity stylist and Indola global ambassador, Andy Smith, also guests at the salon every Thursday. After a deep cleanse shampoo and a pre-treatment spray which was brushed through my hair at the sink, it was rough dried. 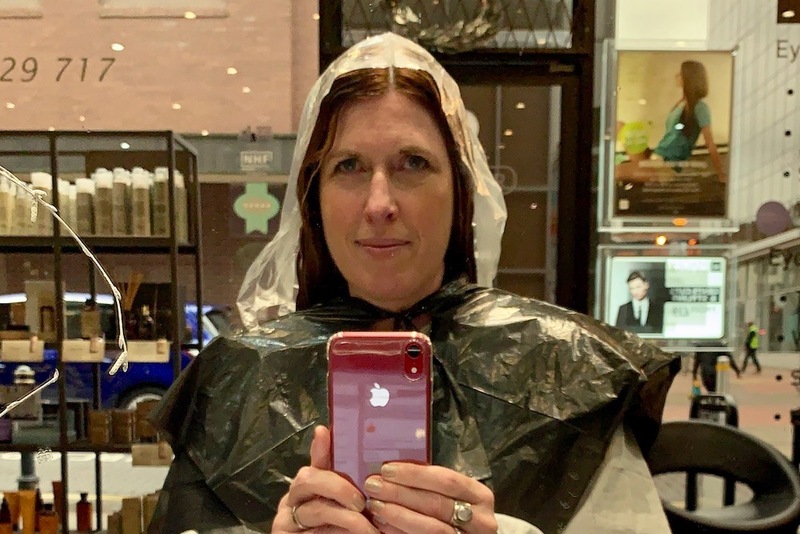 Then Abbey slathered the treatment on my hair from roots to tips, and it was left to 40 minutes to work its magic – my head dressed in a plastic cap to stop it drying out. It was rinsed after this – a very precise rinse – 20 seconds for the treatment, at which a conditioner was added, followed by a precise 30 second rinse. My main was then dried off and painstakingly straightened using irons set to the lowest heat. 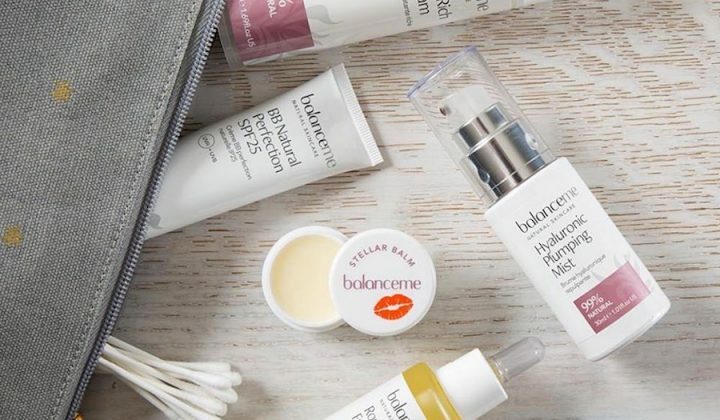 I left the salon with some of the formula still on my locks – to help really seal in the goodness. Abbey said it was fine to wash my hair within 30 minutes of the treatment if I wanted to, but suggested leaving it for a couple of days. The first thing I noticed was how soft my hair felt – having thick curly hair means it can feel coarse, but the treatment has left my hair feeling really hydrated and healthy. Abbey says the treatment is ideal for anyone who wants to help control their hair. On hair as curly as mine, it’s unrealistic to expect it to be super straight and smooth – and mine isn’t – although the more frequently you have the treatment done, the more it will retain it’s straightness. Abbey used the mildest strength on my hair, but there are two further strengths for those who want a straighter look. But the biggest bonus is how easy it is to style my hair. Since having the treatment, I’m now straightening my hair more often and what once took almost three hours is now done in 35 minutes. That’s the real game-changer for me. Before and after. Admittedly my curls had been brushed for the before shot, which makes it frizzier than usual. It’s no snip (oh come on, that’s brilliant), coming in at £300 for my treatment. But, my hair is super-thick and long – so that’s unusual. You’ll most likely pay from £150, depending on length and thickness. The treatment will last up to four months and you’ll have to use a salt-free shampoo and condition to maintain it. LOVE IT, so glad your were happy with the results.. just need you in now for a colour and cut!